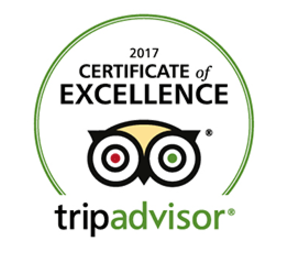 Don’t miss out on our amazing 2013 Barbados special offers to stay at selected apartments at St Lawrence Beach luxury beach rental condos in St Lawrence Gap, Barbados. You will receive a massive 20% discount off our published prices if you travel anytime during September 2013. This offer is based on occupancy of either two persons in a 1 bedroom, 1 bathroom apartment or four persons in a 2 bedroom, 2 bathroom option staying for 7 days or more. St Lawrence Beach Condos is an exclusive on the beach luxury boutique-style property consisting of 17 privately owned ocean view, beachfront condominiums with communal swimming pool, located in the popular St Lawrence Gap, minutes from white sand and calm crystal clear waters of Dover and Sandy beaches. 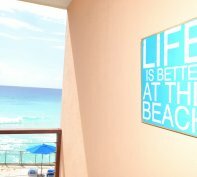 St Lawrence Beach Condos include full self catering amenities with dishwasher, washer/dryer, air-conditioning and ceiling fans, flat screen TV’s, BOSE Ipod docks and WI-FI internet and free local calls. With lavish Italian style kitchen and bathrooms, these ultra stylish, ultra modern rentals are first class luxury throughout. All condos exude exclusive quality and offer bright, breezy and spacious open plan living. 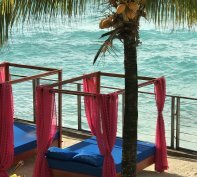 Each with their own private sea view balconies; you can enjoy, relax and inhale the glorious beauty of the Caribbean Sea from your own luxurious Barbados vacation rental home. 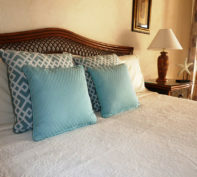 Barbados special offers 2013 at St Lawrence Beach Condos beachfront accommodation. Grab it now whilst this awesome offer lasts! Looking for a great price but in a great location too? 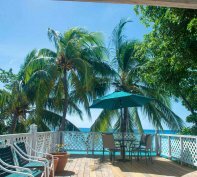 St Lawrence Beach Condos are fantastically situated close to Dover Beach and in the heart of St. Lawrence Gap, the South Coasts number one scene for the best restaurants, nightlife and shops. The renowned Oistins Fish Fry is just a short bus or taxi ride away where you can enjoy superb locally cooked grilled or fried fish in a cultural community of music, entertainment and handcrafted gifts and attire. 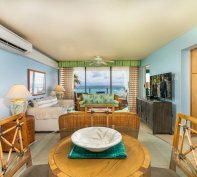 With the Capital of Barbados, Bridgetown, only a 15-20 minute drive away, you couldn’t be better placed to enjoy your perfect vacation in Barbados when staying at St Lawrence Beach Condos in St Lawrence Gap on the south coast of Barbados. 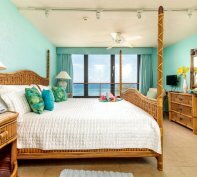 Take advantage of our 2013 Barbados special offers and stay at the exclusive St Lawrence Beach Condos at a magnificent discounted price. 20% off! 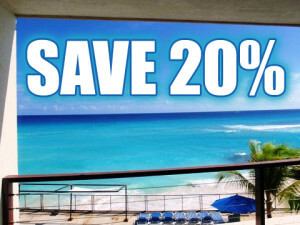 YES 20% off our published rates. This special offer is on a first come, first served basis and limited to selected apartments, so don’t miss out on this great deal so hurry and book now! Remember, you don’t have long!